When you move to a new city, or even a new neighborhood, finding the nearest shoe guy you can trust or the butcher who cuts your steaks just right can be an arduous task. Getting acquainted with the insiders’ spots takes time, trial, and error. But things got a lot easier in the parish of Misericórdia, thanks to Malta&Co. Malta&Co is an open studio in the heart of the freguesia that focuses on stepping away from big business and chain stores in favor of supporting local establishments and the products of local artisans. Founder Sara Malta says her company is a “slow-design” brand that works exclusively with local arts and crafts venues, and promotes them. To make your life easier if you believe in doing the same, Malta&Co. have designed a map to such stores in the parish of Misericórdia. Map by Ileana Rovetta, courtesy of Sara Malta. Note: the Azulejaria is currently closed due to the unfortunate passing of its owner. The goal of their endeavor is to encourage the support and collaboration of neighbors to keep the neighborhood crafty. 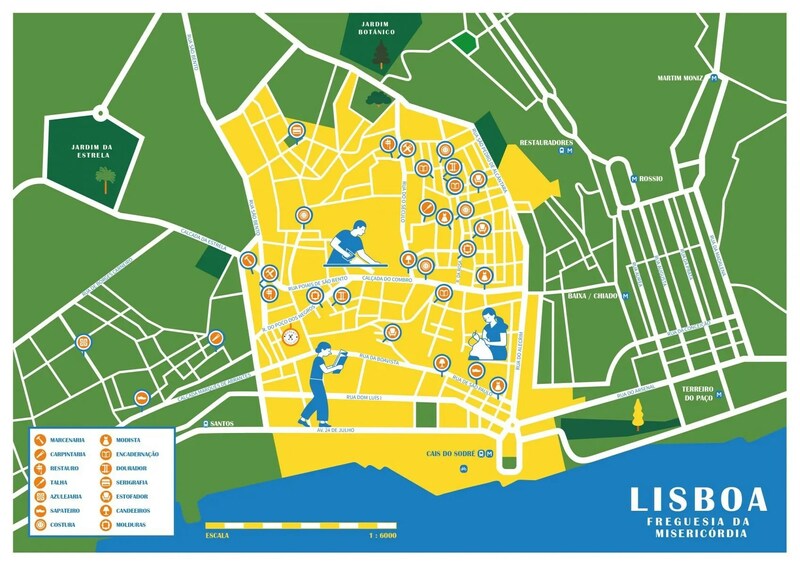 The map was designed by the Argentinean-born illustrator Ileana Rovetta, who has been calling Lisbon home for the past several years. The map can guide you around the neighborhood to various artisans like tailors and restoration experts, while also pointing out hardware stores, butchers, cobblers, lamp-makers, upholsterers, and more. This beautifully simple map gives wanderers and locals the opportunity to support the small businesses of the neighborhood while getting a feel of the sustainable and slow design scene people often fail to notice. What’s even better, the map is available as a free download, as well as in physical form (also for free) at the Malta&Co headquarters at Poiais de S.Bento 52. If you’re in need of a gift-able item, or just a little treat for yourself, their brick-and-mortar locations sell handcrafted pieces, which include clothing, tote bags, pillows, ceramics, and handmade books and paper products. 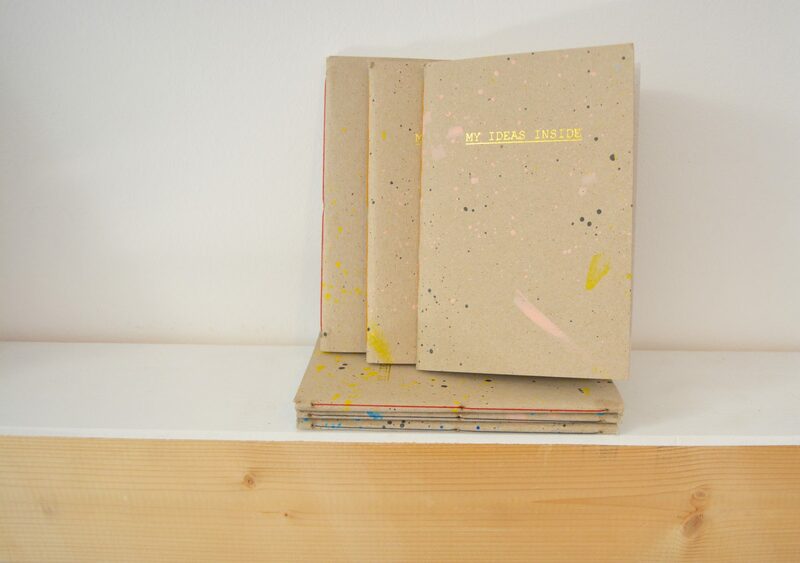 Each item inside is designed by locals, and comes with a story — and a raison d’être. 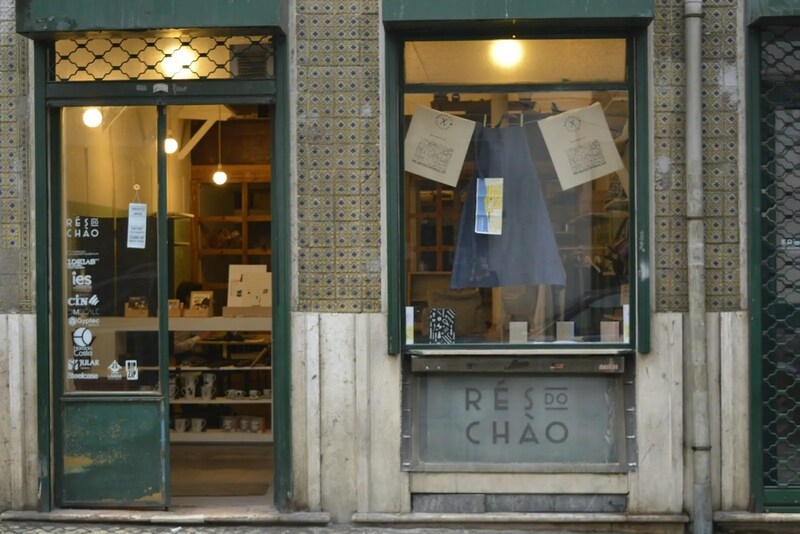 We recommend going to check out what’s in there and saying hello to the right kind of neighborhood watch: the folks who make sure Lisbon retains its small-town feel. Give them a thumbs up, pick up a map, and, if you want to see what kind of art you can lend to the ‘hood, you can sign up for a workshop cycle for traditional crafts like the rolo, a Portuguese pottery technique.